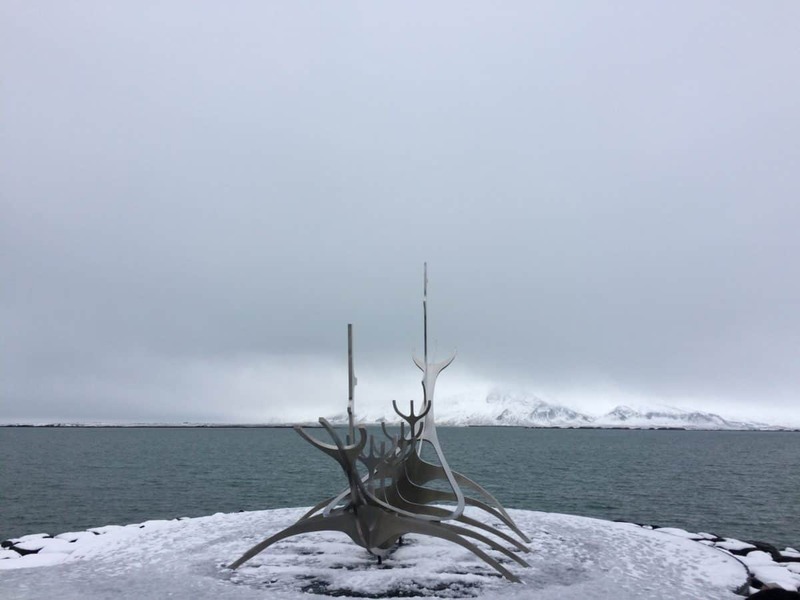 In this post, I teamed up with some of the most amazing travel bloggers to tell you about some absolutely amazing and the most Instagrammable places in Iceland that you need to visit right now. If you’re new to my blog: welcome! My name is Liza and I’m a co-founder of this blog. I run it together with my husband, Pepe, who takes beautiful photos of me and inspires me to travel more. Together, we’ve been to more than 64 countries and more countries are coming soon! I’m obsessed with Instagram and try to publish photos to my main Instagram account @lizatripsget every single day. When going on trips, I usually research the most beautiful, impressive and photogenic places and try to visit them all. Instagram has become so popular recently and I very often receive questions about the exact locations of the places in my photos. That’s how the idea of these series of the most instagrammable places around the world was born. So far, I have 4 posts in the series, but more to come! This post, however, is all about Iceland. Yes, Iceland! 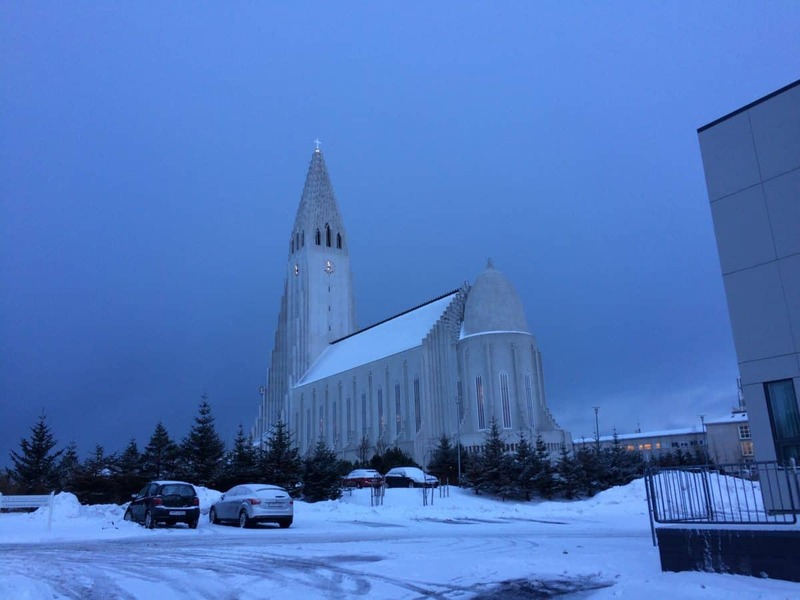 (if you need information about the prices in Iceland and how much money to take there, head HERE. In case you’re looking about things to do during a short trip without renting a car – I’ve got you covered). 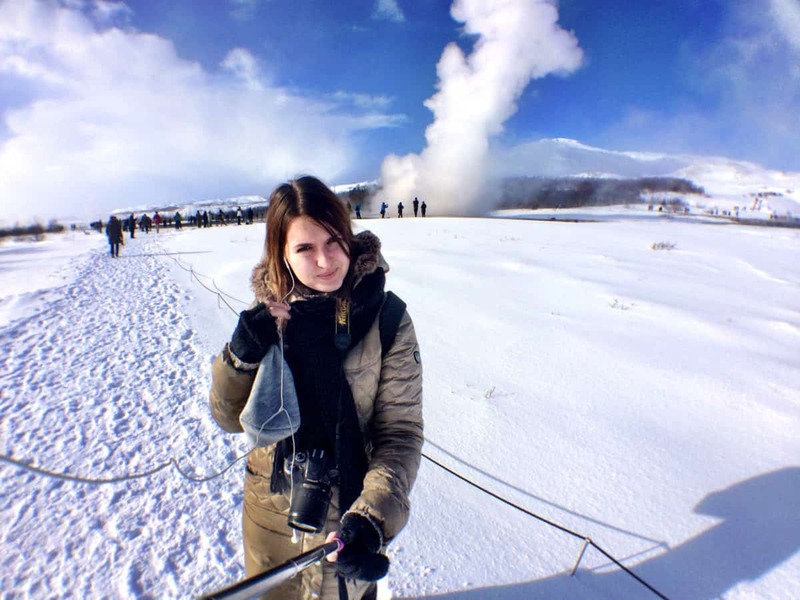 One of the most instagrammable places in Iceland is Geysir. 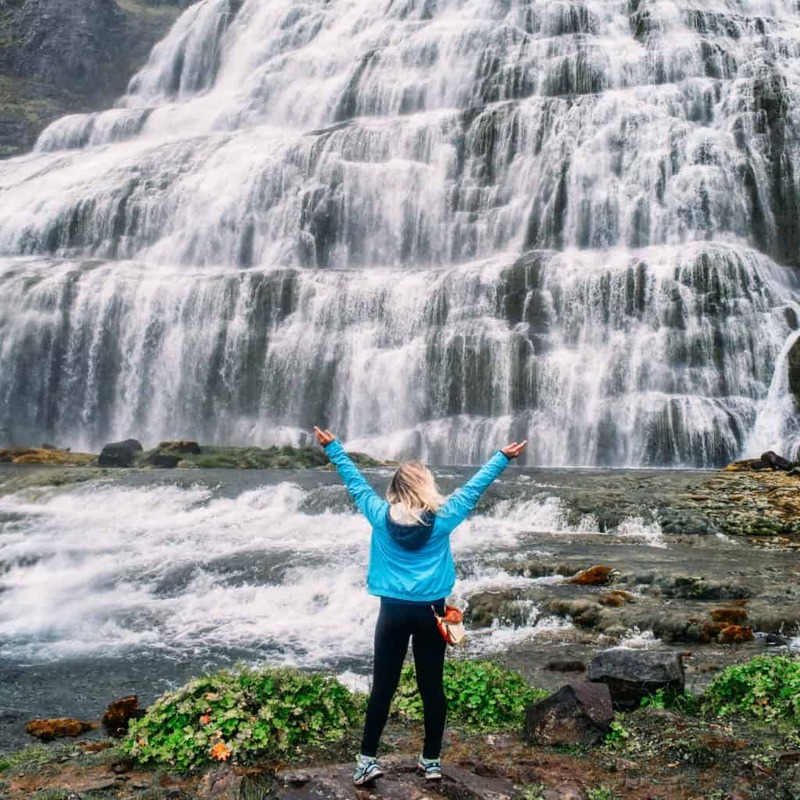 Located just a short ride away from Reykjavik, this places attracts an incredible amount of tourists for a reason – everybody wants to see this massive stream of water emerging from the ground and flying many meters high! If you want some really good photos without people, you need to arrive very early and preferably by car! 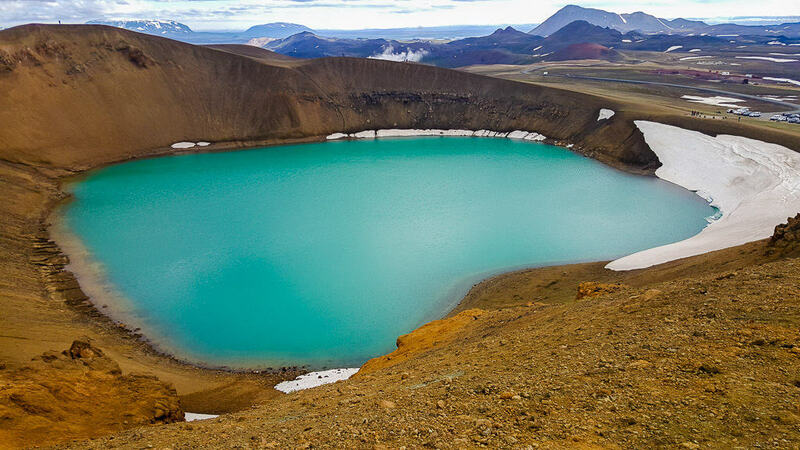 The Krafla Volcano is looked in the Northern Part of Iceland. You can climb up the little mountain quite easily in about 10-15 minutes and make your way around it. The top part of the crater has formed a lake which makes for stunning pictures! Bonus points that it was completely empty when we went. 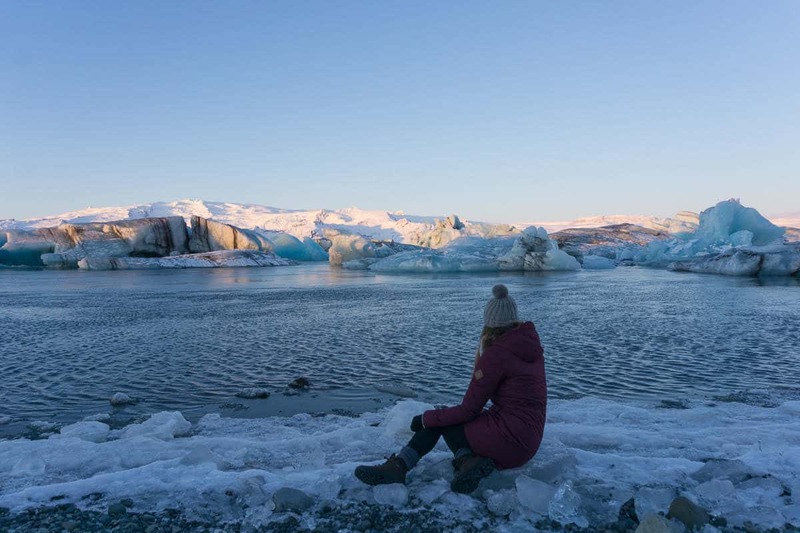 Jokulsarlon Glacier Lagoon is one of the most beautiful places in Iceland. It’s full of icebergs that have broken off from the surrounding Breiðamerkurjökull Glacier and are slowly floating out to sea. The view changes every day, so it’s worth visiting more than once, especially at sunrise and sunset. You’ll fine Jokulsarlon Glacier Lagoon on the ring road west of Reykjavik. Vik is a small, seaside town on Iceland’s southern shore. Most people head down to the beautiful black sand beach for their photos, but take a moment to see the church up close. 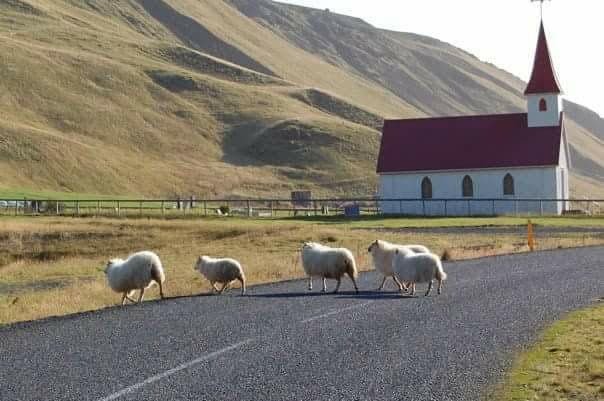 You might even run into some friendly sheep! 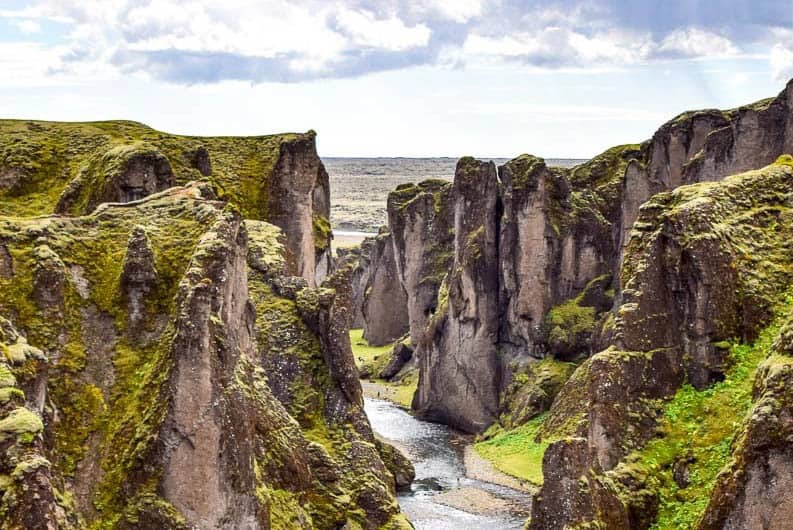 This beautiful canyon is called Fjaðrárgljúfur and it’s found just off the Ring Road on the south coast of Iceland, near Kirkjubaejarklaustur. At about 100m deep and only 200m long, it’s perfect for a quick stop. You can walk all the way to the far end at the top of the canyon and then walk through it at river level to get a different perspective! Sólheimasandur is like nothing else in Iceland, and that’s saying something. It’s a vast area of sand and gravel that resembles Mars more than it ever could Earth. It is downright otherworldly. 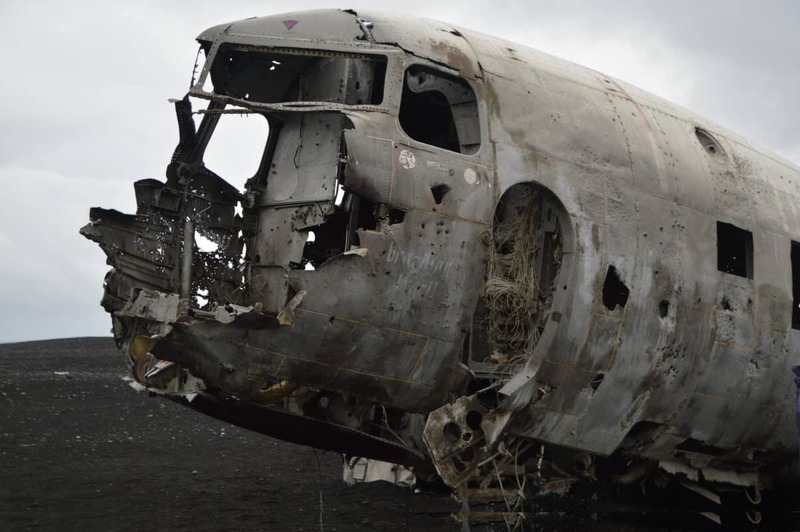 The highlight, however, is not the surreal terrain, but rather that plane wreck. You’ll need to walk a fair bit to get nearer to the coast to witness it, but it’s well worth the walk. The plane wreck is actually a US Navy plane that ran out of fuel and crashed into the sand in the early 1970’s. Since then it’s become a fairly massive tourist beacon, largely because it’s a photographer’s dream. That being said, I’d go early in the day to avoid crowds. A fair amount of people take the walk down towards the planet wreck nowadays, and it’s become a tourism pilgrimage of sorts. Dynjandi Falls is one of the most beautiful waterfalls in Iceland and one of the most Instagrammable locations there. Located in the Westfjords, Iceland‘s most rural region, Dynjandi is an impressive waterfall that is actually made up by seven smaller waterfalls, that flow from the top of fjords down to the sea. There is a trail that will take you up to the base of the biggest waterfall, with plenty of Instagram worthy shots all throughout it. Just make sure to cover your camera as the spray from the waterfall is enough to get it very wet! A lot of the buildings in Reykjavik are seriously Instagrammable and are covered in beautiful graffiti but the bakery Braud & Co had to be my favourite! The baked goods were pretty good too. I love a place that feels like it is at the end of the road. 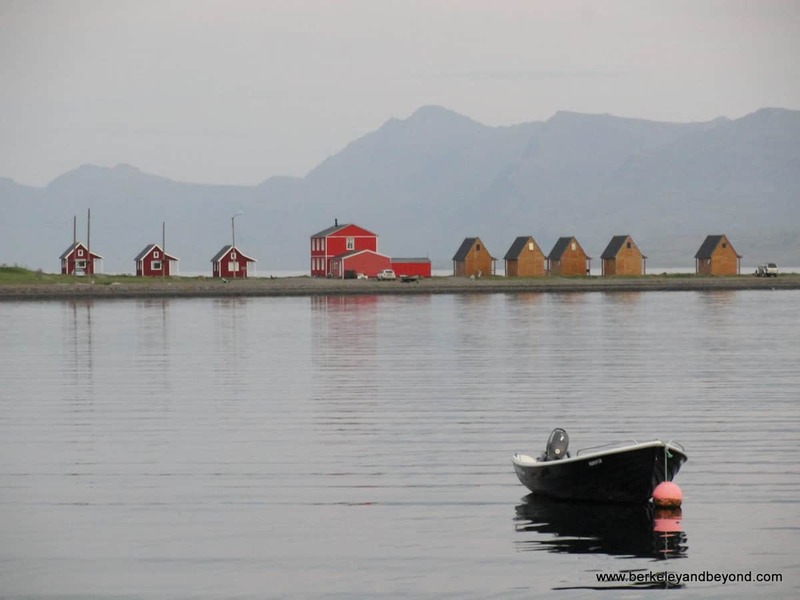 Hugging the shore of a northeastern Iceland fjord in Eskifjordur, these small A-frame red cabins fit that description to a T.
Located within Iceland’s infamous Golden Circle is Gullfoss, one of the stars of the show. It’s a large waterfall, set within a crater, and is incredible to see in the flesh. 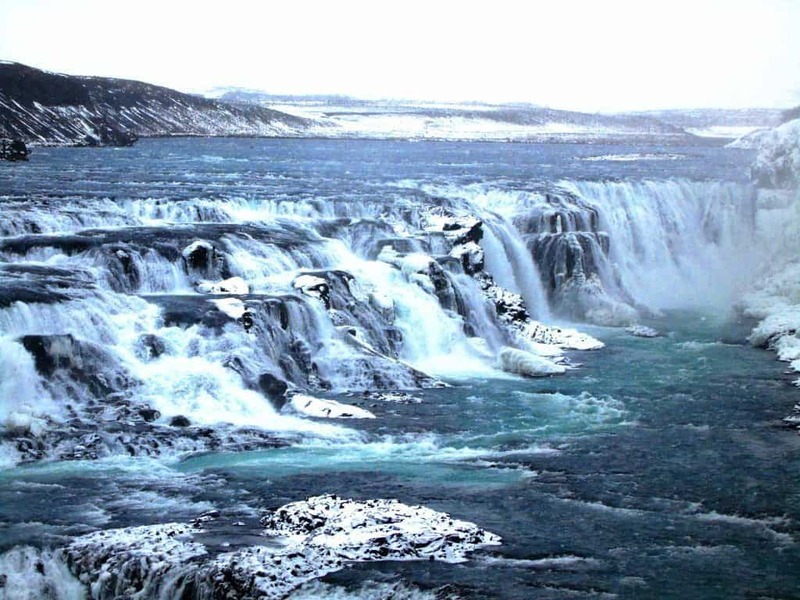 In the summer months, you’ll notice the water is a murky brown, which is what gives this waterfall its name (Gullfoss = Golden Falls). But come here during the colder months, and you’ll see bright blue water – perfect for your Instagram! 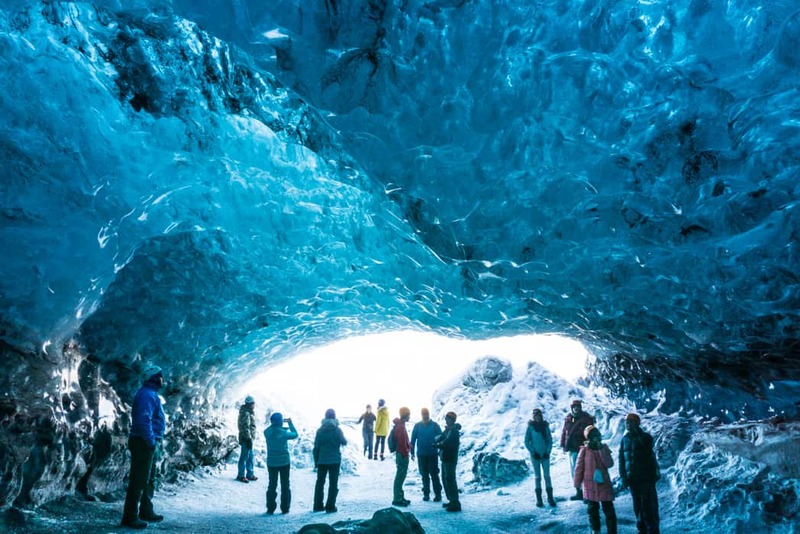 If you visit Iceland in the winter you have to go on a tour of the Crystal Ice Caves near Jokulsarlon glacier lagoon. The blue light coming through the glacier ice makes for amazing photos. 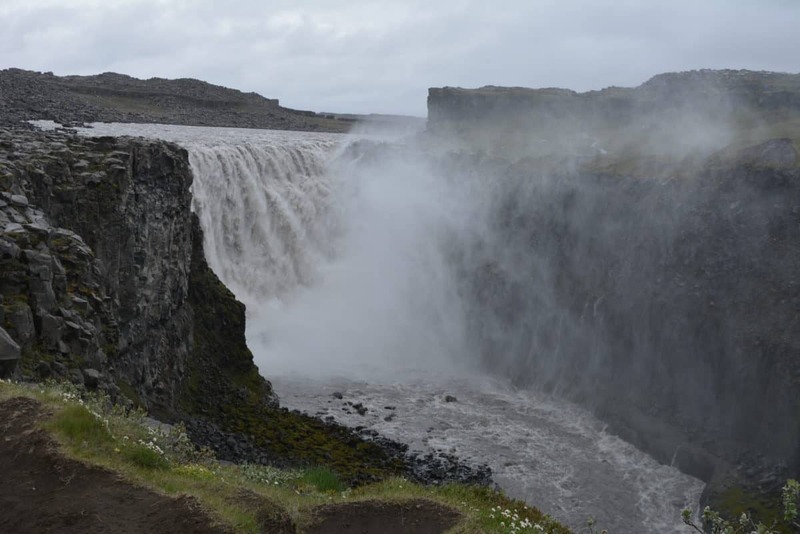 Dettifoss in North Iceland is the most powerful waterfall in Europe. It is formed by runoff from the Vatnajökull, Europe’s largest glacier. We enjoyed that the view of this stunning waterfall was from the top rather than the bottom. 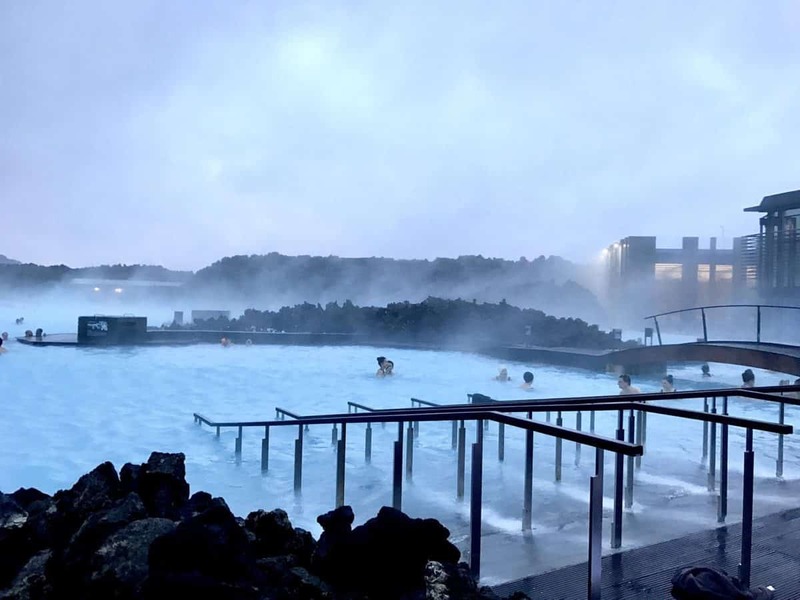 Blue Lagoon is probably the most famous, impressive and instagrammable place in Iceland, however, due to the crowds, it’s hard to snap a good photo there. 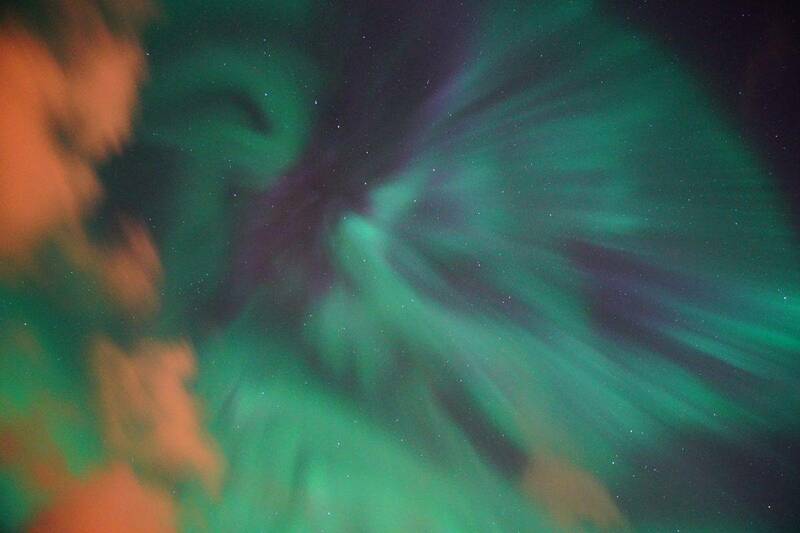 Well, it’s cheating, I know, Northern Lights ain’t a spot, it’s a natural phenomenon, however, you can see it in Iceland from October to April (unless you have bad weather and even worse luck just like me). You might have seen this strange but yet very beautiful church on the Instagram of various bloggers. 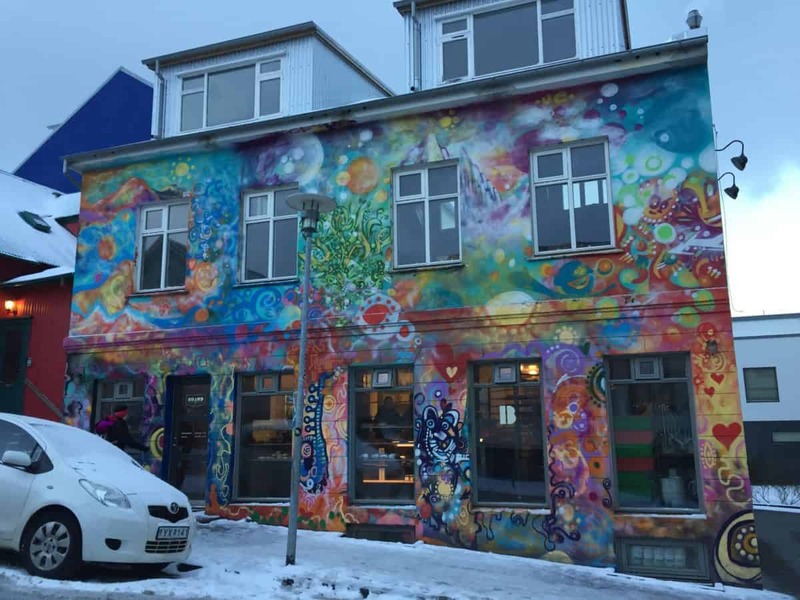 It’s located in the heart of Reykjavik and you don’t have to travel far to see it! 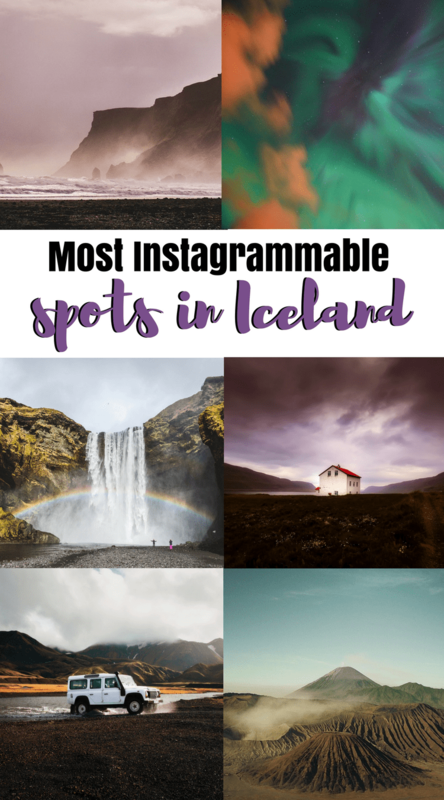 Liked this post about the most Instagrammable spots in Iceland? 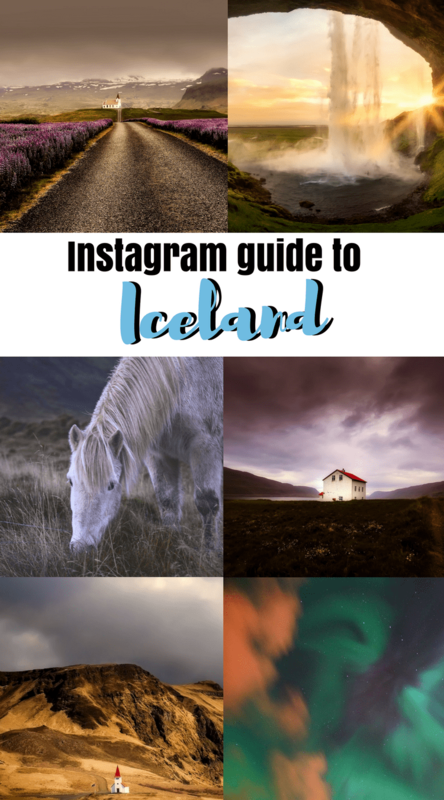 Save this Instagram guide to Iceland for the future or share it on Social Media!